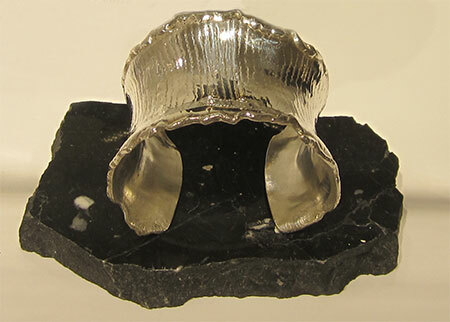 Pelliccia recently pronounced Mary Drago the winner of a $500 dollar tuition scholarship for her sterling silver cuff bracelet, “Corset” at the art school. The winning piece will be on display at the art school for three weeks, and Drago’s name will be inscribed on a plaque that graces one of its walls. Loret Gomez and Marta Cruz-Janzen were the second- and third-place winners, respectively. Gomez’s sterling silver “Streaming Bubble” bracelet and Cruz-Janzen’s bronze clay metal necklace, “Forest,” were recognized. While at the school, Pelliccia toured the student workshop areas and spent some time with jewelry instructor Don Dietz. “His passion for teaching others was inspiring,” said Pelliccia. 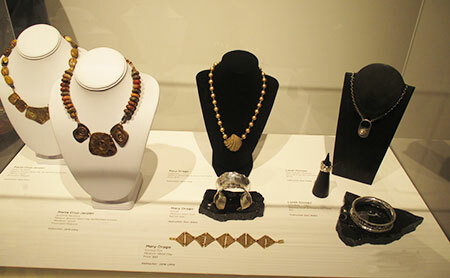 The instructor in the gem and jewelry arts for more than 40 years clearly loves what he does. Pelliccia was also happy to see the students’ excitement about their creations and design process, as well as their appreciation for his participation. “It’s nice to see people love to express themselves through art,” he said. Drago agrees, wholeheartedly, sharing how she is continually inspired by teachers and excited by learning in the name of self-expression. 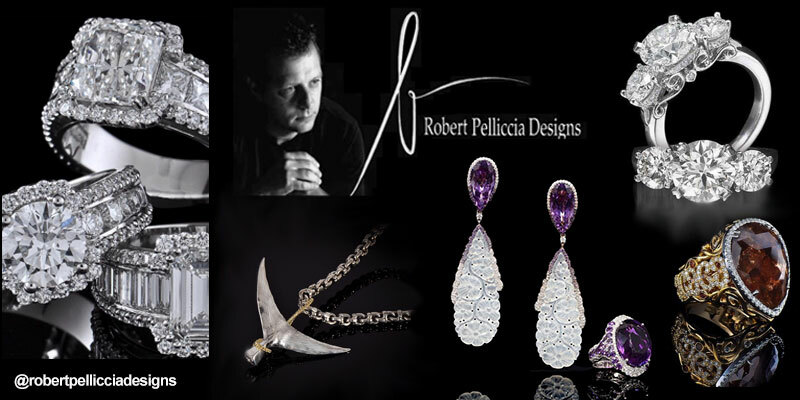 Robert Pelliccia started his jewelry career, which has spanned more than 30 years, at the age of 18. He took courses in jewelry repair, diamond setting and model-making, and worked as a bench jeweler prior to beginning to design. He is a nationally recognized jewelry designer, honored with a host of awards over the years, including three prestigious De Beers Diamond Today Awards, a Modern Jeweler magazine Buyers Choice Award and 12 American Gem Trade Association (AGTA) Spectrum Awards. The Pelliccia portfolio includes bridal, colored gemstone and fashion pieces, much of which is crafted in karat gold and platinum. Check out Robert Pelliccia's Instagram page to see some of his Beautiful Creations.